We have some official statements and rumors about the recently announced AMD Radeon Vega VII graphics card. The new graphics card was announced at CES 2019 by AMD’s CEO, Dr.Lisa Su and is the first gaming-ready graphics card to be built upon the next-generation 7nm process node. The specifications and performance on paper looked very interesting but AMD has since confirmed new details for their Vega 20 based Vega VII graphics card. 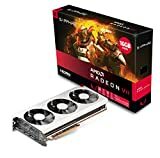 Alright so first up, we have a rumor by TweakTown which states that the AMD Radeon Vega VII graphics card will have less than 5000 units made during its production cycle and each card is going to be sold at a loss considering these are just repurposed Instinct MI50 parts that could’ve been sold for much higher prices to the HPC sector. 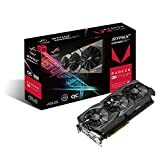 The reason AMD has a Radeon Vega VII for gamers is because they don’t want to be left out in the dust against NVIDIA which already has multiple high-end enthusiast grade products in the market and the only thing AMD has, on the other hand, is their year-old Vega 64/56 lineup and the budget-friendly, mainstream RX 580/590 series based on Polaris architecture. It is also reported that the card will have no custom models but we have to wait for confirmation. 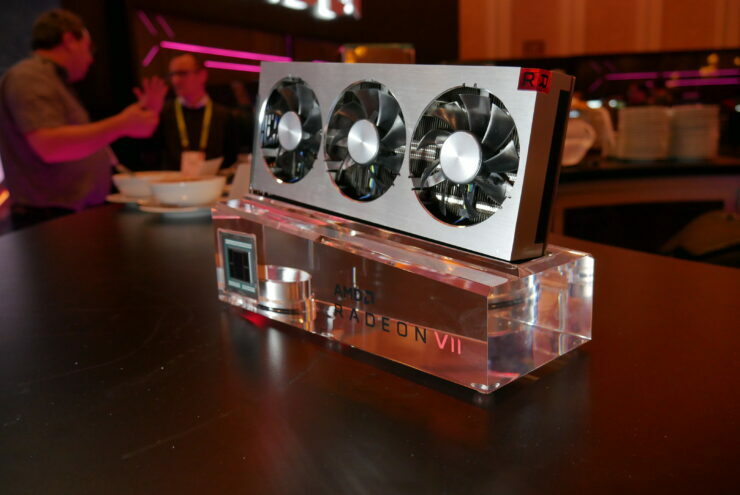 Previously, with the Radeon RX Vega lineup, we saw that most AIBs were reluctant to release a custom model with only a few offering a fully custom design. This was mostly due to poor supply issues that occurred early on with the Vega chips and hence, AIBs just continued selling off the reference models. Till now, there is only a handful of AIBs such as Powercolor, Sapphire, ASUS and Gigabyte who have a custom Vega model while on the other hand, all NVIDIA AIBs produced several custom models for their flagship 1080 Ti and 2080 Ti graphics cards. Also in other news, Anandtech’s editor in chief, Ryan Smith, confirmed that AMD Radeon Vega VII officially comes with 64 ROPs and not the alleged 128 ROPs that were being reported a few hours after the card got announced. I just heard back from AMD. It is officially 64 ROPs for the Radeon VII, not 128 as I was earlier led to believe. I've corrected our article accordingly. Also, since the Vega VII is basically an Instinct MI50 with Radeon RX drivers, it was thought that the card would retain it’s heavy FP64 compute, making it a formidable compute option at its price point but that isn’t the case anymore. 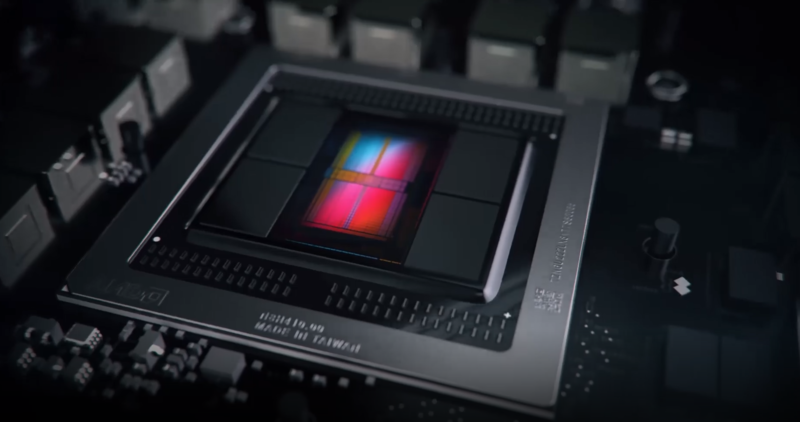 Confirming through AMD’s Director of Product Marketing, Sasa Marinkovic, TechGage reports that the Radeon VII does not feature double precision enabled and that it’s 1:32 FP64 compute like the RX Vega 64 cards at just 0.862 TFLOPs while the Instinct MI50 features 6.7 TFLOPs of FP64 compute. Soon after their CES 2019 presentation, AMD’s CTO, Mark Papermaster, in an interview with The Street, promised that they will be offering more 7nm products over the course of the year. Since AMD already has an enthusiast offering out, it seems like their next plan would be to replace their Polaris based RX 500 series with newer Navi 7nm based products. It would be really interesting to see AMD launching a new GPU based lineup after a three year run for their 14nm FinFET based Polaris GPUs. Let us know your thoughts what you think about the new details on Radeon Vega VII graphics card and what you want to see in the upcoming Navi GPU based lineup in the comments below.